When the May Criminal Assizes begins in less than two weeks Edward "Al Capone" Green is expected to face judge and jury. At last. Green has languished on remand at the State's prison for five years and his health condition is worsening, well-informed sources told the Sun. Green, who is now in his Seventies, was arrested and charged with the murder of 35 year old Damien Dorival, whose headless body was found on Elmshall Road in June 2008. 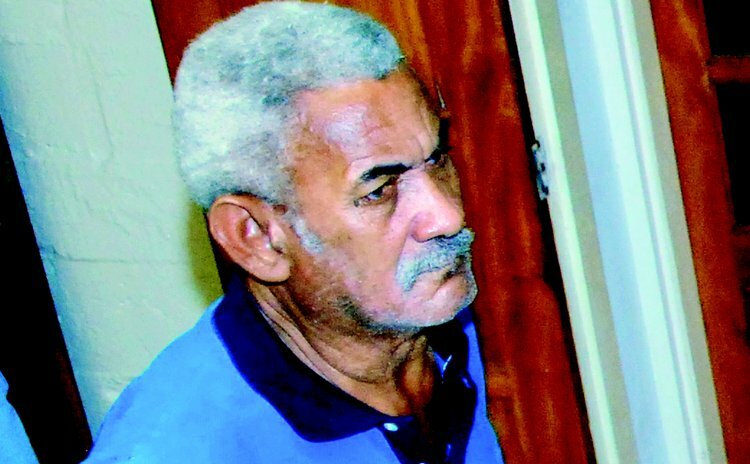 Dorival's head was later discovered in the river at Palm Grove. Attorney-at-law Peter Alleyne is Green's lawyer but the Sun has been informed that he is not happy with how things have gone so far. One Good Samaritan who visits Green regularly said the prisoner's situation was "not very good". "Edward was there behind the bars and mesh. He looked no better than when I last saw him. If it is true diabetes will take you out, he is on borrowed time. He can barely see it seems, less than two feet away and he was squinting," the person observed. Lawyer Alleyne confirmed that Green does have "serious health issues", and there are reports that he sometimes refuses to take the medication he needs for his diabetic condition. Speaking to the SUN, on the usual condition of anonymity, a source said Green's condition continues to worsen but no efforts seem to be made for his trial. "He was indited for the January assizes and the matter has been traversed to May; he is getting older and his condition is not getting better," the source said. An attempt was being made to have a medical doctor to examine Green given his frail physical condition but "the family has a hands-off attitude," the Sun has been informed. For many, Green is "a character" with an unsavory reputation which may now be "hunting and hurting him", the source said. The State has already indicated that they intend to hire outside help to prosecute the case but so far Green's defense is hampered by a "lack of finance." "Money is a major issue and lawyers have to eat, they have bills to pay and do not run an office for free. This is a huge case and he has to be properly defended so people have to be paid to do the job," the source stated. Alleyne, the Sun was told, has received very little compensation since having managed the case after Green was arrested. When contacted for his comments Alleyne confirmed that he remains "on record as lawyer for Green" and that the trial was set for the May Assizes. He, however, was not prepared to say anything further on the matter.